The National Association of Professional Employer Organizations (NAPEO) defines co employment as the contractual allocation and sharing of employer responsibilities between a Professional Employer Organization (PEO) and its client. In other words, co employment describes a legal relationship between two or more employers in which both have various legal rights and duties concerning the same employee. These legal rights and duties generally relate to payroll benefits, insurance and other basic labor laws. Do co employment laws affect temporary workers? Co employment typically occurs when companies use staffing agencies to hire their talent, whether it be for temporary or contract to hire positions. The staffing company manages basic human resource activities, pays the employees’ wages and all payroll taxes, provides benefits, workers’ compensation coverage, and has the ultimate right to hire, assign or let workers go. The staffing company also hears and acts upon complaints from its employees about working conditions, and counsels or disciplines its employees for work-related misconduct. Clients, on the other hand, generally supervise and direct the employees’ day-to-day work and manage the remote workplace, control working conditions at the worksite, and determine the length of the assignment. In this situation, because the staffing agency and client both have obligations to the contractor, they can both be viewed as an employer. How can your company mitigate the risks associated with co employment? Liability might arise when an employee perceives that one of their employers has violated a law intended to protect the employee in the workplace, or when one party fails to meet its employer obligations. In a temporary staffing situation, it is possible to minimize potential client co employment liability, but not eliminated entirely. Businesses can take a series of steps to mitigate most risk related to co employment. These steps include having no discussion of pay rates with the employee and deferring to the staffing agency. Next, communicating employee performance directly to the staffing firm, who will then provide performance feedback to the temporary employee and having the staffing company handle all personnel matters including payroll, benefits, and termination. To further alleviate risks regarding co employment, staffing and recruiting services can also require employees to acknowledge in writing that they are not eligible for benefits; maintaining the right to assign and reassign employees; and negotiating with clients regarding the nature of work, hours, duration of assignment and working conditions for employees. Transparency is always the best policy. Partnering with a reputable staffing agency with co employment experience, like Sparks Group, can help to navigate these often complex legal arrangements, lower your risk, and assist in compliantly engaging the rapidly growing pool of independent talent. If you’re currently recruiting and want to mitigate the risk associated with co employment, partner with Sparks Group. We specialize in locating top talent for temporary, contract to hire, and full-time positions across multiple divisions and industries. 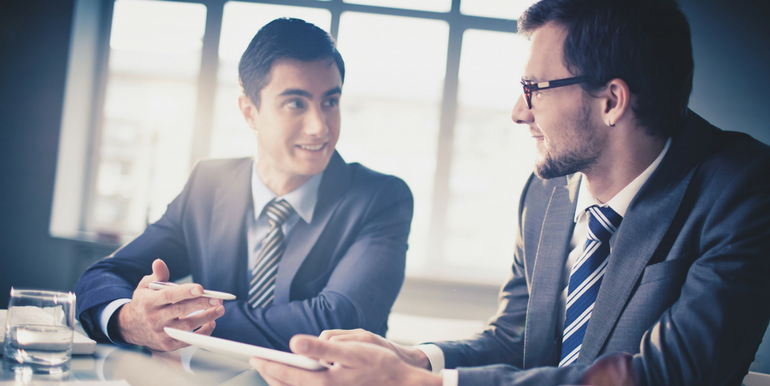 Request a free consultation with one of our staffing and recruiting experts today.